Life and business are hectic enough without having to get bogged down in all the details, hoping that with all the spinning plates you have in the air, none hit the pavement. 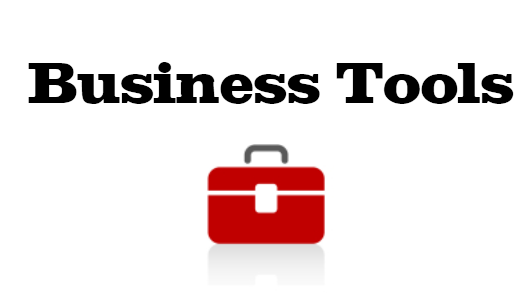 What is the one business gadget you can’t do without, and how does it simplify/streamline/organize your business/life? The winning tools by far (at least with this crowd, myself included) come from iWorld of Apple, with PC’s, Blackberry devices, and more rounding out the list of favorites. It is not just the picks that I find valuable — it’s how each tool is used to improve business efficiency. If you have a favorite tool, please share it in the comments below. And if you found this post helpful, please share it on Twitter, Facebook, Google+ or your social network of choice. 🙂 Enjoy! My business can’t live without the computer. We do most of our work on-line. We edit on the computer, send out our newsletters, blog post on the computer, we do all our billing, invoices, data entry etc on the PC. We have backup, but if the world stopped using computers we would be done. We rely on it too much for our livelihood. 2. Look, Up In The Sky! Is It A Bird? Is It A Plane? No – It’s The Cloud! Last year I started using video for educational & marketing messages. Sometimes they’re live action, sometimes Powerpoint or static images with added audio. But then what? Do I know how to coordinate the audio with Powerpoint? No! Do I know how to add music or improve the image? No! Happily, I have a video editor & a web site designer who do all this magic for me but – how do I get them the individual files? Email is slow or won’t accept the size of the files. I use Dropbox (dropbox.com) a marvelous tool to share files with friends or providers. Dropbox tells me when the file’s been uploaded, deleted or changed with a desktop icon. I have separate folders for separate folks. The whole process is seamless, easy, fast & free. What could be better than that? Smartsheet is the one piece of software that we could not live without. From managing our goals to our schedules to being the hub of our project management and recruitment activities, Smartsheet is a huge part of our operational process. We picked Smartsheet initially as a project management tool to limit internal emails (there is a discussion feature within the project sheets). Now, since it integrates with Google Apps and is very easy to use, we look for ways to further use all of its features in our operations. As new team members come on board, we encourage them to bring new ideas to the table on how to use Smartsheet more effectively. The back-up features also enable us to back-up our work in a central location–perfect for our virtual offices. My Blackberry Playbook (Mac/iPad colleagues please stop cringing and don’t hold it against me) hands down has become my gadget of choice to simplify my business/life. It provides me every capability my laptop does, but in a more compact size. Being the size of an average book, it is easy to carry around, use with clients or take on trips. I am able to access files anywhere through the use of Dropbox, read E-books, and do just about anything I would have done on my laptop without having to lug it around and set it up. The best part is that I can take a break from my home office and work from where ever I want. After years of searching for modules, for a CRM that wasn’t clunky and that was easy to use, for an email program that did nice looking newsletters, I finally found a company that could provide those things and MORE! I’ve spent SO much time trying to learn new programs, paying fees, entering data for testing I had a hard time marketing. Marketing, in fact was a pain. I couldn’t figure out how to: enter all those pesky business cards, keep track of who I called, follow-up, do what I promised, etc. NOW, I sit at the computer, make a phone call while entering the information into my CRM. As I talk I sign them up for what ever information they want, schedule the next contact, make notes and I’m done. It’s almost fun! The Blackberry and its communication capabilities that includes BBM, various apps relating to work schedule and generally running a business. Key components of our business are communications, given that we are often on-site at wind energy installations all over the world. Without the Blackberry, it would be very hard to keep everybody informed as they need to be. The days of leaving work at the office ended when social media entered the game plan. I am totally dependent on my iPhone and iPad to stay connected and current with our ‘followers’. iDo go everywhere with them. Idle time no more. I whip out my device waiting in grocery lines and answer emails; Sitting in the bleachers during halftime; Waiting in the doctor’s office. I Facebook. I tweet. I LinkedIn. I even update web blogs from my iDevices. Facetime and Skype from them too! When thunder boomers roll in and take out power, I rely on my 3G network to keep my productivity up. Next to my iGadgets, I love my scanner best. I scan biz cards directly into Gmail contacts. Not to mention those moments when you need a mental health break, I plug into to iTunes. Far from high-tech, but I can’t live without my DYMO LetraTag Label Maker. Between the bounty of folders within reach of my desk and my carefully organized client binders, I can quickly flip to whatever information I need without having to decipher messy handwriting! Any tool that saves me time simplifies my business. I use both Automation Anywhere and Robotask. These are two automation software programs that help me keep track of a good chunk of my tasks between them, from backing up data to downloading to sorting, etc. Both have free and paid versions. 10. IPhone + Evernote =SUPERBRAIN! One business gadget that I cannot do without is the Evernote app running on my Android phone where I can save anything I want. While my Droid has a ton of built-in time-saving features, it’s the Evernote app that really turns it into a powerhouse. Evernote is a cloud based organizational program where you can save any media file or any info. What’s great is that it works kind of like your brain and you can use any piece of information you remember about a thing you have stored to find it. A great gadget that we’ve gotten very used to in our business is the Neatreceipts scanner. This is a portable scanner that identifies and pulls the important information from receipts, business cards and documents and organizes it for you effortlessly. This device gets rid of piles unnecessary paper clutter and keeps us incredibly organized come tax-time. My iPhone coupled with the Presto! Bizcard scanner app is one gadget I cannot do without. With this app I’m able to scan in business cards right through the iPhone’s camera and add them to my contact list. We’re always networking at conferences and cocktail parties, and this app on my iPhone keeps my pockets and Rolodex much lighter and my contacts more organized. While I get plenty of entertainment from my iPod it has become a gadget that I cannot do without in my business. My business requires me to stay up to date on the most relevant news. My iPod automatically downloads the newest podcasts I follow so I can listen to them as I go for my morning run and get started with my day. One of my absolute must-have gadgets in my business is the Super Hero iPhone/iPod dock from Iomega. This incredibly handy device backs up my contacts, photos, texts, and emails to secure SD memory card while it rests in the cradle charging. This makes backing up my info incredibly easy and prevents loss if anything happens to my iPhone or my computer. A gadget that we must have in the office at all times is the Magic Wand Scanner. This incredibly scanner saves everything we scan to a portable Micro SD card. We scan everything from documents, to press clippings, to receipts with a wave of the wand. It takes up very little space and is incredibly easy to bring with you while on the go. Thanks so much again to all our wonderful contributors for sharing your favorite business tools! We hope to hear from you again. And to all our readers, if you have an innovative idea to share, we hope you will leave it in the comments below. This entry was written by Dr. Shannon Reece, posted on April 23, 2012 at 5:00 am, filed under Question of the Week and tagged business tools, efficiency, entrepreneurship, productivity, small business tips. Bookmark the permalink. Follow any comments here with the RSS feed for this post. Post a comment or leave a trackback: Trackback URL.